Yesterday afternoon, the PHS Dragons varsity basketball team matched up with the Gilmer Bobcats in the first of three meetings during the season as they kicked off the annual Thanksgiving Tournament at Fannin High School. Pickens, was coming off a hard fought loss to Chestatee on Tuesday, while Gilmer looked to turn around a long week after tough defeats to Murray County & Union County. 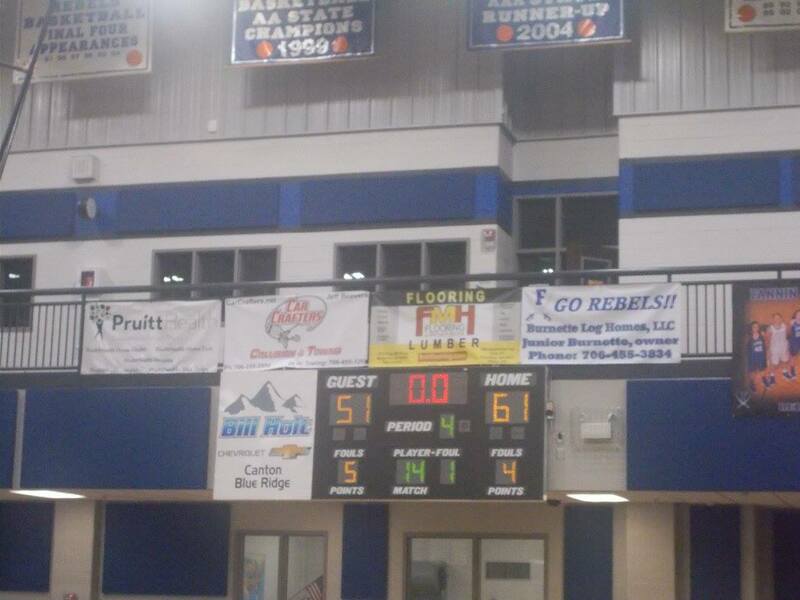 The 1st quarter saw Pickens jump out to an early lead on their rival Bobcats. The Dragons held a 19-12 advantage over Gilmer going to the 2nd. In the 2nd quarter, Pickens used momentum gained in the opening frame, & carried it over to the 2nd. The Dragons would use a 20-12 quarter scoring advantage to take a 39-24 lead over the Bobcats going into the break. In the 3rd, the Bobcat fans saw their team get back into it with a strong quarter performance. Gilmer would outscore the Dragons 12-6 in the 3rd to cut it down to 45-36 going to the 4th. However in the 4th, the Dragons were able to outscore the Bobcats 16-15, and close out any chance of a comeback, to get the win over their rival, 61-51. Pickens will be back in Blue Ridge tomorrow as they will take on the Hiwassee Dam Eagles. Scheduled tip off time is 4:30.